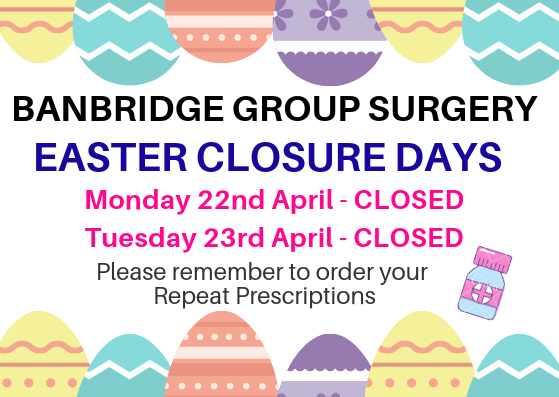 Please see Easter Holiday closure dates below. If you need to see a doctor on these dates please telephone 028 3839 9201 for out-of-hours services. Please also allow sufficient time to order your repeat prescriptions.